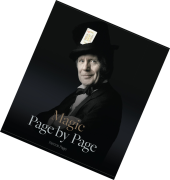 This is one of a number of different Patrick Page versions of Double Mirage which itself is a variation of the Patrick Page One in the Middle effect which dates back to the mid 1950’s – more than 60 years ago! Easy to perform. 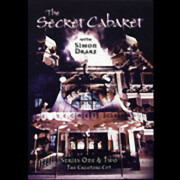 Ideal for novices and experienced magicians alike. Despite its age, it is still a wonderful effect and one that audiences are not familiar with. 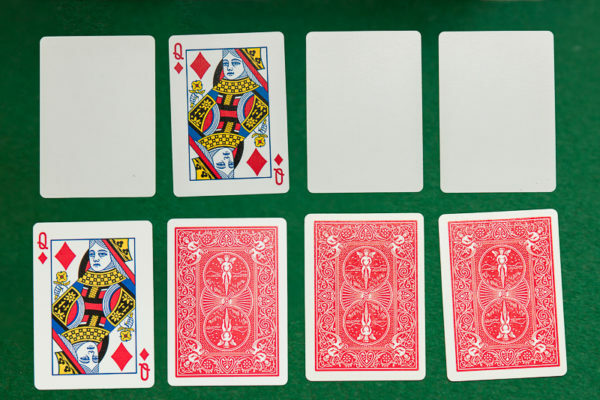 In the original One in the Middle effect which was a Three Card Monte, the queen vanished and reappeared in the performer’s pocket. In this version, the face of a 4th card is shown and place aside, face down. This card, eventually, is revealed to have changed to the vanished queen. We provide you with the cards and written instructions by Patrick Page required to perform the effect. We aim to post the item to you the next working day by first class post or air mail. The cost of Double Mirage including postage and packing (shipping) is £12.50 (approx US $16.5).